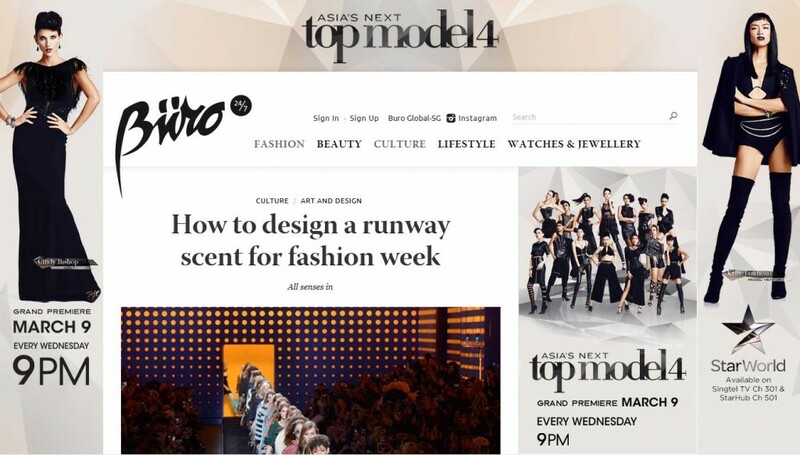 BURO247: How to design a runway scent for fashion week. It’s the last leg of the womenswear fashion season for fall/winter 2016 — and after making their rounds in New York, London and Milan, fashion editors, executives and enthusiasts are finally reaching the end of their style world tour in Paris. Ah, the city of love — where the smell of freshly baked baguettes perfumes the air, along the with the occasional ammonia assault in the pee-stained metro. How charming. But what does the inside of a Parisian fashion show smell like? A scent heads straights to our brain as it gets charging on memory-association, putting two and two together. For Marcel Proust himself, it took a tea-soaked madeleine to recall long-forgotten memories from his childhood in In Search of Lost Time. Olfactory association’s a funny — if not intriguing — thing, and it’s something Terry Jacobson has been involved in for the past decade. He’s the chief experience officer of AllSense, a Singapore-based company that specialises in environmental scenting — quite simply, designing a fragrance to match a space. The South African native stumbled across the idea to design scents for spaces some 10 years ago. “This was my calling, not only working with brands and businesses but also being involved in the powerful role our sense of smell has in our day to day life,” he shares.